Blak Blad bagged their first win of the 2018/19 Kenya Cup beating fellow varsity side Mean Machine 31-19 on Sat Dec 1 at Kenyatta University. After a good start that saw Blad go 5-0 ahead, Machine recovered well to level things through Alfred Orege but back to back penalties including a 30-meter one saw Blad back to the lead at 11-5. Eric Muthama scored Machine’s second touch down but missed a penalty that would have see them lead at the ionteravl for them to trail 14-12. The hosts would score three more in the second half to confirm their first win of the season and hand Machine a second defeat. 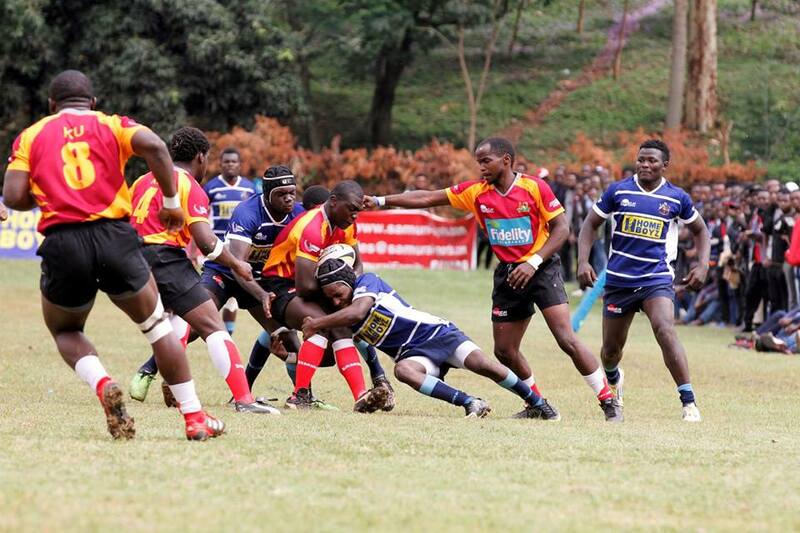 Strathmore Leos lost their third match in a row after going down 16-9 to hosts Impala Saracens at Impala Club. Leos pushed till the last minute with the game heading to four minutes of extra time only for Leos to knock on inside Impala’s 22.